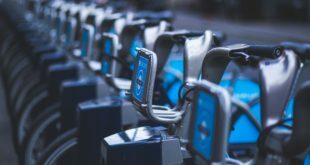 As Barclays Cycle Hire has recorded its 15millionth hire, it has been revealed the scheme is going to spread further into Southwest London. Launching in late 2013, over 2,000 new bikes and 5,000 new docking points will be placed as part of the expansion, around half of whch will be south of the Thames. All the docking stations are scheduled to be in place by spring 2014. Since the East London extension of ‘Boris Bikes’ this year the average number of weekday hires has increased 50 per cent from 20,000 to 30,000 per day. The plans for the westward expansion into Wandsworth, Hammersmith & Fulham, Lambeth and Kensington & Chelsea are continuing with TfL working with the boroughs to identify over 200 suitable locations for docking stations and to develop the design and layout of the proposed expanded area. Public information sessions about the location of the new docking points will follow. “Every Londoner should be able to take advantage of our hugely popular and iconic Barclays Cycle Hire scheme which has already brought untold benefits to London’s commuters, businesses and visitors alike,"
The round of quotes continues with TfL’s MD for Surface Transport Leon Daniels, who said: “These plans build on the huge success of Barclays Cycle Hire which has been immensely popular this summer with record number of people using the scheme during the London 2012 Games. 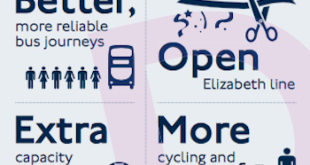 There is huge appetite for the scheme in west and south-west London and bringing Barclays Cycle Hire to those areas will make public transport more accessible in those communities." 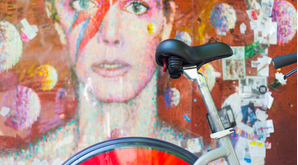 The extension to the west and the introduction of new docking stations in the existing area will increase the number of bicycles by 2,400 to around 11,000 and will deliver an additional 250,000-300,000 Barclays Cycle Hire journeys each month, according to Transport for London.